According to the justice ministry, the dead victims' direct dependants will also be assisted with school fee payments. "Mnangagwa set up a commission to investigate the killing of people and before the ink had dried on the report of the commission, his government killed more people. That is inconsistency," the MDC spokesperson told NewZimbabwe.com. "Now he is talking about compensation. Why should the tax payer pay when no one has owned up for accountability yet? What happened to the officials that committed the killings? What has happened to the officials that committed the other (January) killings? "This does not make sense and only adds salt to injury." 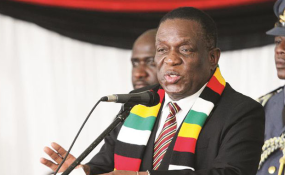 In past comments, Mnangagwa has been wishy-washy on the killing of 17 civilians by security forces during Zimbabwe's ill-fated January job stay away. The Zanu PF number 1 is keen to portray a national leader who wants to break from Zimbabwe's bitter past under his predecessor Robert Mugabe.